The prelude to any trip at sea should be the Passage Planning. Not only will having that written plan on hand ensure a more relaxed trip but the planning itself can be a fun way to anticipate the voyage. Even for that short trip around the bay, working out before hand how far you can go before you need to head for home and which is the best way to go will make the sail much more enjoyable. One of the main reasons for having a passage plan is so that there is an easily accessible, easy to read, list of all the information relevant to your trip on board. Quite how you record the information is up to you, some like to write it into their logbook, others keep a dedicated notebook with all the details. However, a typed list will be easier to read quickly, I know that I have difficulty sometimes reading my own handwriting. And there will be times when someone else, crew members, will need to read the plan. One of the best ways I have found for recording my passage plan is by printing it out on A4 sheet then inserting them into a folder. There are a variety of presentation folders available quite cheaply from any stationers. They have plastic covers and contain clear plastic sleeves that your printed sheets can be slipped into, to keep them dry. There are several passage planning software programs available which I'm told are quite good and which allow you print out the information. Wherever you take your boat, make sure your brain gets there five minutes earlier. However, I still prefer the great satisfaction I get from passage planning trips the old fashioned way. Sometimes the passage planning is almost as much fun as the passage itself. 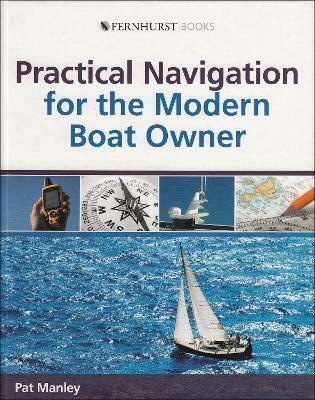 Remember the plan should be available for everyone on board to read, so there may be items that you as skipper should consider in your planning but which may not be appropriate to record. Your passage planning should be done before you set off. Working on your passage planingn at home is a fun way to anticipate the trip and it will allow you the time to really think through all the relevant aspects. However, it should be updated with any relevant information as it becomes available. While the navigational aspects of you trip will probably be the main substance of the plan there are other consideration which should be taken into account. And it is worthwhile having a checklist so nothing gets overlooked. Every year boaters find themselves in trouble because of some overlooked or forgotten detail. The following list of Passage Planning headings and prompts will help you to prepare for your trip. Crew; You may not wish to record your opinion of your crew but consideration should be given to their strengths, weaknesses, experience and skills. For instance someone who is prone to seasickness could become a liability in rough weather. Communications; Have a record any local radio frequencies and channels which might be needed and check the radio is working. Watch keeping; Draw up a watch rota before setting off so there is no confusion later. Crew briefing; This doesn’t have to be a formal lecture just make sure they know where they are going, how you intend to get there, where all the safety gear etc is; anything which will avoid confusion and shouting later. Safety checks and drills; This may seem obvious but a check list will hep to avoid any oversight in the excitement of casting off. Food; Think about what you and the crew will need for the trip and what emergency rations including water you might need, just in case. Fuel supplies; Apart from working out how much you will need and making sure you have sufficient for the planned trip consider if you should fill up well beforehand. If there is likely to be a queue at the fuel dock on the day of departure will it upset your plans? Stowage for sea; Even on a calm day the wake from a passing boat can cause anything loose to fly around dangerously, so make sure everything is stowed before casting off. The boat; Is she really suitable for the proposed trip, what if the conditions should deteriorate? And are there any outstanding maintenance jobs which need sorting before setting off? Weather Forecasts; Starting your passage planning well in advance will allow you monitor the forecasts as they develop. This will allow you to get a feel for how the weather systems are moving through. They are also something you should be monitoring right up until the end of your passage. So, your plan should include a list of all the weather services available in the area you intend to cruise. A Navtext receiver can be invaluable aid especially when abroad where radio broadcasts may be difficult to interpret. Among the factors to consider should be how wind speed, visibility and temperature will influence boat speed and comfort. Preparation time; Don’t forget to factor in to your plan enough time to get onboard, get everything stowed and the boat ready for departure. This is particularly important if your navigation plan has time constraints, such as tidal gates or even just lock times to clear the harbor. It is surprising how much time can be frittered away just getting on board. Arrival time; Make note of any restrictions which might have a bearing on the time of arrival at your destination. If there are restrictions such as tides or lock gates then you estimated time of arrival will need to be monitored throughout the voyage. Customs and paperwork; Particularly important when traveling overseas, make a check list of all the paperwork passports etc that you will need on arrival. 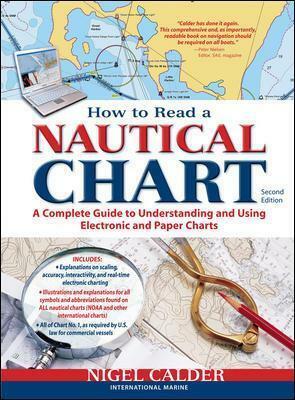 This may seem an obvious one but having a list of the charts you will need on board and having them readily available will help avoid last minute flaps. Temporary Notices to Mariners and Chart updates. Reviewing and updating these Noticesshould be part of your passage planning process. The temptation when planning in advance is to create an ideal route for ideal conditions. While the starting point and destination can remain constant it is also worth creating alternative routes to suit other possible conditions, so you have them ready in the event. You can create and enter into your GPS as many way-points as you like. However they must be clearly marked and named so there is no confusion. And always check and recheck what you have entered even if they have been copied from a pilot book or almanac. Make a note of Tidal Information. You should already have factored tidal effects into you route plans. However, noting the times and heights of high and low water for standard ports on you route and in an appropriate time zone will save time and possible confusion if you need to alter your plans on route. A note should be made of the timing of any tide gate on route so that progress toward and eta can be constantly checked against your progress. Using a Tidal Stream Atlas is an ideal way to view tidal effects over the range of a tide. The Pilotage Plan should include a list of buoys, marks, hazards and transits and in the order in which they will appear. These visual checks will back up and verify your course steered, the reality can often look completely different from the chart view. If there is the remotest chance of arriving or departing in the dark the list of marks should include their light characteristics. As well as all the obvious hard bit to avoid it is worth making note of the other hazards such as over-falls and shallows which will be a problem should you miss time the tides. The prudent navigator should always be prepared to modify his plans. Whatever the reason, your Passage Planning should include information on alternative ports or anchorages. The more information you have to hand the easier it will be to make the decision to divert, especially if it is an emergency. 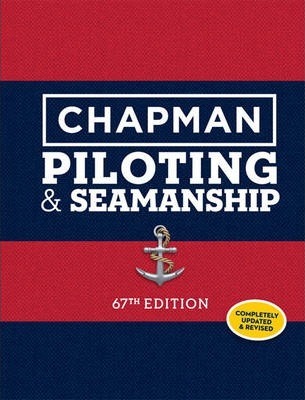 So make sure that you have appropriate harbor and pilotage plans. And check, if entering that harbor has any tidal or weather restrictions and what facilities are available. It may be that the most appropriate course of action is to either return home or carry on. The more information that your passage planning can accrue prior to setting off, the easier it will be to make the appropriate decisions on route.